Chinese is a group of related but in many cases mutually unintelligible language varieties, forming a branch of the Sino-Tibetan language family. Chinese is spoken by the Han majority and many other ethnic groups in China. 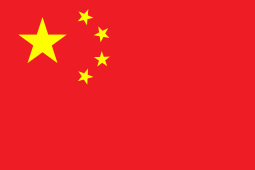 Nearly 1.2 billion people (around 16% of the world's population) speak some form of Chinese as their first language. The varieties of Chinese are usually described by native speakers as dialects of a single Chinese language, but linguists note that they are as diverse as a language family. The internal diversity of Chinese has been likened to that of the Romance languages, but may be even more varied. There are between 7 and 13 main regional groups of Chinese (depending on classification scheme), of which the most spoken by far is Mandarin (about 960 million), followed by Wu (80 million), Yue (60 million) and Min (70 million). Most of these groups are mutually unintelligible, although some, like Xiang and certain Southwest Mandarin dialects, may share common terms and some degree of intelligibility. All varieties of Chinese are tonal and analytic. Standard Chinese (Putonghua/Guoyu/Huayu) is a standardized form of spoken Chinese based on the Beijing dialect of Mandarin. It is the official language of China and Taiwan, as well as one of four official languages of Singapore. It is one of the six official languages of the United Nations. The written form of the standard language (中文; Zhōngwén), based on the logograms known as Chinese characters (汉字/漢字; Hànzì), is shared by literate speakers of otherwise unintelligible dialects. Let’s take, for example, technical translations in Chinese. All the projects are coordinated by one of the senior company founders, whose competencies are based on technical knowledge, together with a linguistic expert and a Project manager with years of experience in the field of translations. All translations from English into Chinese or from Chinese to English are done by professional translators. Depending on your requirements, the translations are subsequently verified by a specialist reviewer in the repsective field of expertise. As for medical translations in/from Chinese, these translation projects are coordinated by the main founder of the company, whose know-how comes from in-depth medical knowledge, along with a linguist expert and a Project Manager with experience in translations in the medical field. Legal translations in/from Chinese are coordinated by a licensed lawyer, together with a linguist expert and a Project Manager with a lot of experience in this area.